The call for conference fellows has now closed. The mission of the IASSIST Fellows Program is to provide support for data professionals from countries with emerging economies and underrepresented regions who are developing information infrastructures regarding the use and preservation of public and private data and implementing information policy decisions at their home institutions. IASSIST Fellows has provided financial assistance to over 70 conference participants from around the world since 1997. IASSIST is awarding a few full fellowships and a number of partial fellowships. Please be aware that funding is not intended to cover the entire cost of attending the conference. The applicant’s home institution must provide some level of financial support to supplement an IASSIST Fellow award. Strong preference will be given to first time participants and applicants from those countries currently with insufficient representation at IASSIST. Only fully completed applications will be considered. Applicants submitting a paper for the conference will be given priority consideration for funding. You may apply for funding via this form <https://goo.gl/forms/yttyvLUetnheZH5Z2>. The application deadline is on December 23, 2018. For more information, to apply for funding or nominate a person for a Fellowship, please send an email to the Fellows Committee Chair Florio Arguillas (foa2@cornell.edu). Questions about presentation submissions may be sent to the Program Co Chairs, Bobray Bordelon, Ashley Jester, and Kelly Schultz, at iassist2019@lists.iassistdata.org. Questions about workshop submissions may be sent to the Workshop Coordinators, Eimmy Solis and Stephanie Labou, at workshops@lists.iassistdata.org. Please use this online submission form to submit your presentation proposal. Typically this format is a 15-minute talk ideally accompanied by a written paper. If your individual proposal is accepted, you will be grouped into an appropriate session with similar presentations. You may propose an entire session (90-120 minutes) with a set of presenters and topics, or a “deep dive “into a specific resource or concept. The session proposal can take a variety of forms, e.g., a set of three to four presentations, a discussion panel, a tutorial (with less substance than a pre-conference workshop), a discussion with the audience, etc. If accepted, the person who proposed the session becomes the session organizer and is responsible for securing speakers and a chair. Please note: the names of all speakers and the moderator must be included in the proposal. Presenters are required to submit an original research paper in advance of the conference and present and discuss its findings at the conference. We will select submissions based on proposals, and the authors of accepted proposals are required to submit their final and complete papers by March 22, 2019. All papers will be eligible for publication consideration in an edition of IASSIST Quarterly. In addition, one paper will be selected as best paper with a prize of one free registration for a future IASSIST conference. Proposals in this category should identify the message being conveyed in the poster or the demonstration. A lightning talk is a short, highly visual presentation. Presentations in this category are timed, and speakers are restricted to 5 minutes total. Presentations should have a maximum of 15 slides, but there is no restriction on how many minutes you stay on each slide or the exact format of the presentation as long as you stay within the strict time limit. These are not your typical conference presentations. Session formats are not limited to the ideas above; session organizers are welcome to suggest other formats. We will consider interactive formats that encourage audience participation. NOTE: When submitting you will be required to select one of the proposal formats above, but it is possible that your submission may be accepted on the condition of adapting it to another format (e.g., an individual presentation proposal might be accepted if you are willing to adapt it to a poster or a Lightning Talk). If this is the case, you will be given the choice to accept this format change or to decline being in the conference program when notified of its acceptance. All submissions should include the proposed title and an abstract. The abstract should be no longer than 200 words and written for a general audience. NOTE: Abstracts longer than 200 words will be returned to be shortened before being considered. Also, if the reviewers can’t understand what a proposal is about, it will be rejected. MULTIPLE SUBMISSIONS: The conference organizers anticipate that some individuals may wish to submit multiple proposals. Due to logistical and organizational challenges, the conference organizers reserve the right to limit the number of accepted presentations from an individual and will work with the affected individual(s) to resolve issues accordingly. Questions about presentation submissions may be sent to the Program Co-Chairs (Bobray Bordelon, Ashley Jester, and Kelly Schultz) at iassist2019@lists.iassistdata.org. Please use this online submission form to submit your workshop proposal. Choose “Workshop” under Submission Type and make sure to fill out all of the information in the section called Workshops – Additional Information. Workshops will be held on the mornings of Tuesday and Wednesday, May 28 & 29, 2018. The Program Committee seeks workshops that highlight this year’s theme, Data Down Under: Exploring “Data Firsts.” We are looking for workshops addressing recent changes in the field as well as workshops targeting early-career professionals. Successful workshop proposals will blend lecture and active learning techniques. The conference planning committee will provide the necessary classroom space and, depending on need and availability, computing supplies for workshops. Some workshop spaces will rely on participants to supply their own laptop (or tablet if appropriate). Proposals should outline needed computer hardware and software, if any, or specify if participants should bring their own. Typically workshops are half-day with 2-hour and 3-hour options. Workshops will be held on Tuesday and Wednesday mornings, May 28 & 29, 2018. Please note that all workshop leaders are required to register and pay the registration fee for the conference; registration for individual days will be available. Welcome to the IASSIST 2019 conference site – the home of the annual conference of the International Association for Social Science Information Services and Technology. 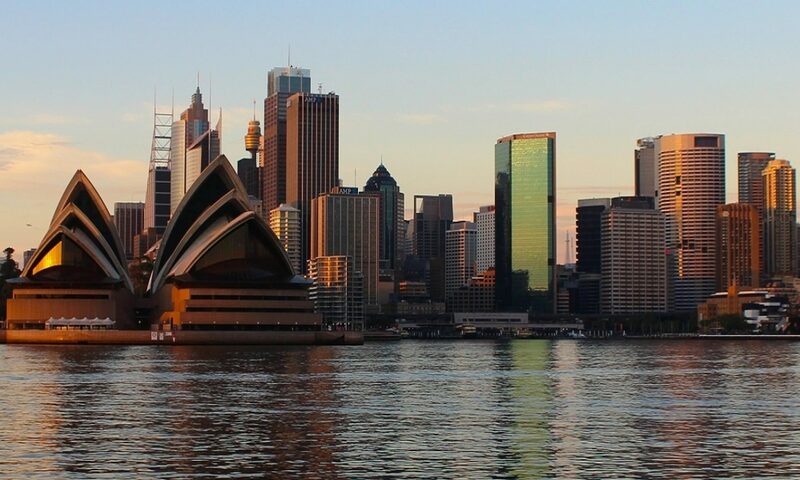 The 2019 conference will be held from May 27-31, 2019 in Sydney, Australia, at the John Niland Scientia Building at the University of New South Wales. Your hosts for the conference are the Australian Data Archive (part of the ANU Centre for Social Research and Methods at the Australian National University), the University of New South Wales, Aristotle Metadata, and the Australian Consortium for Social and Political Research, Inc. (ACSPRI). We look forward to seeing you in Australia in 2019! !